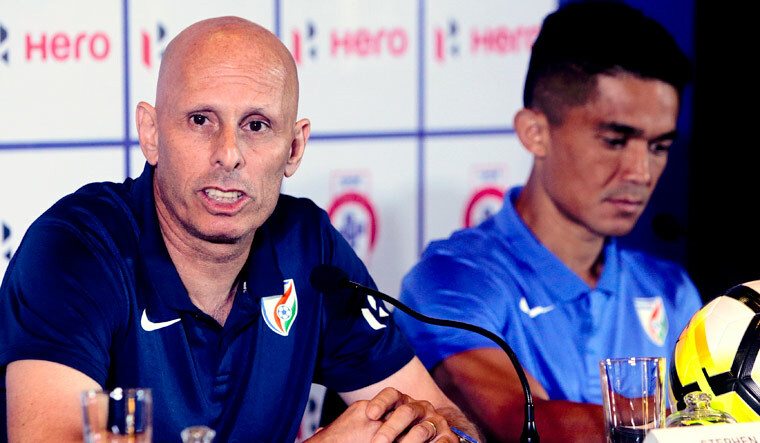 Indian football coach Stephen Constantine "apologised" for his unsavoury comments on the youth team's performance in the FIFA U-17 World Cup last year. "I just wanted to apologise to everyone for my recent comments on the U17s. I am here in India for the best part of 7 years and the last thing I want to do is offend anyone," Constantine wrote on his Twitter handle. He added, "I have the greatest respect for the AIFF and football in India and always give them my 100%." During a media interaction yesterday, national coach Constantine said the Indian team's performance at the U-17 World Cup was mediocre and the hype surrounding it was unjustified. His out-of-the-blue comments ruffled feathers in the All India Football Federation (AIFF) whose president Praful Patel had praised the national U-17 team for its gutsy performance in FIFA's youth showpiece event. "There was a lot of hype in the U-17 team's performance. They did not win any game in the U-17 World Cup and I am not quite sure what the hype was about. "The team did OK. But I never knew why we are making it such a big deal. In the first place, the team did not qualify in the U-17 World Cup, (but played as) India hosted the tournament. Too much was made out of it," he had said.